Vybz Kartel is either just trolling us or confirming that he has been recording music in prison. 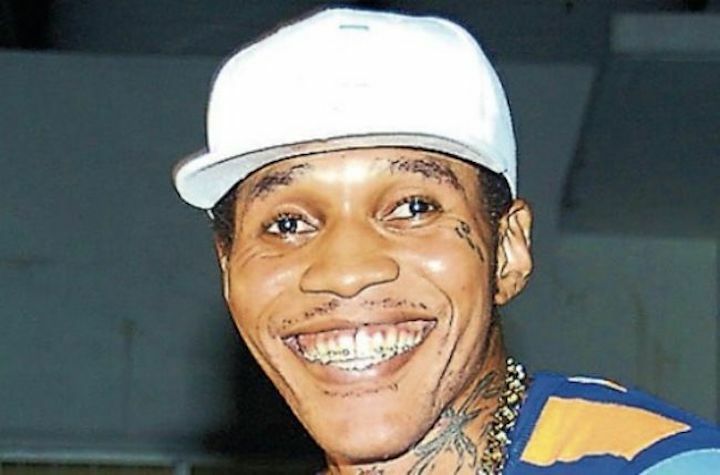 Since December, Kartel has been very active on Instagram, a tool he used to keep his fans up-to-date with his new music and post new photos of himself and his kids. On Monday, he shared a meme which pretty much expressed how he feels about his haters. 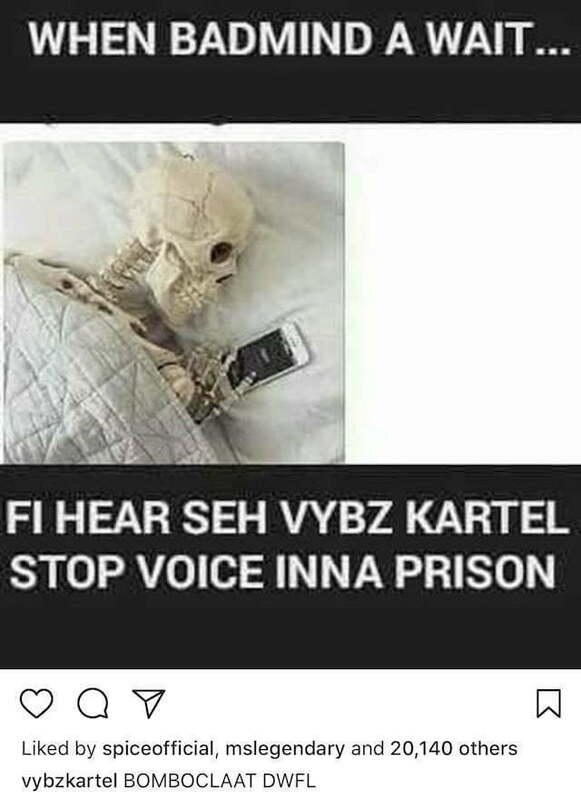 “When badmind a wait fi hear seh Vybz Kartel stop voice inna prison,” the meme reads. In short, he is taking shots at his haters who want to see him stop recording music behind bars. In 2016, Vybz Kartel broke his silence about the controversial issue of him recording music in prison. Not only did he dismissed the claims, he also said electronic devices are not permitted in prison which begs the question how is he able to be on Instagram so frequently? That same year, the National Security Minister ordered the department of corrections to conduct an investigation to determine if Vybz Kartel and other musicians are illegally recording music in prison. The investigation came up empty-handed, but the prison reinforced its security operation while also installing cellphone jamming devices. It’s also illegal for Vybz Kartel to be recording music in prison and if caught, he could be sent to solitary confinement and faced other penalties. Nevertheless, he has been dropping more music than even artists who are free and his team has been saying that his slew of new music s from previously recorded unreleased material. That still doesn’t explain how Kartel has been deejaying about things that are happening now and he has been incarcerated since 2011. Unless he is a time traveler.